A second generation version of the Raspberry Pi, with considerably more powerful hardware, will go on sale today for the same attractive price of just $35. Better still, the revamped version of the board will support a special version of Windows 10. The CPU in the Raspberry Pi 2 is said to be six times more powerful than the previous generation, jumping up from a 700 MHz single-core ARMv6 processor to a quad-core 900 MHz ARMv7. Not only is the new CPU more powerful, but it also supports a much wider range of software thanks to the newer ARMv7 architecture. 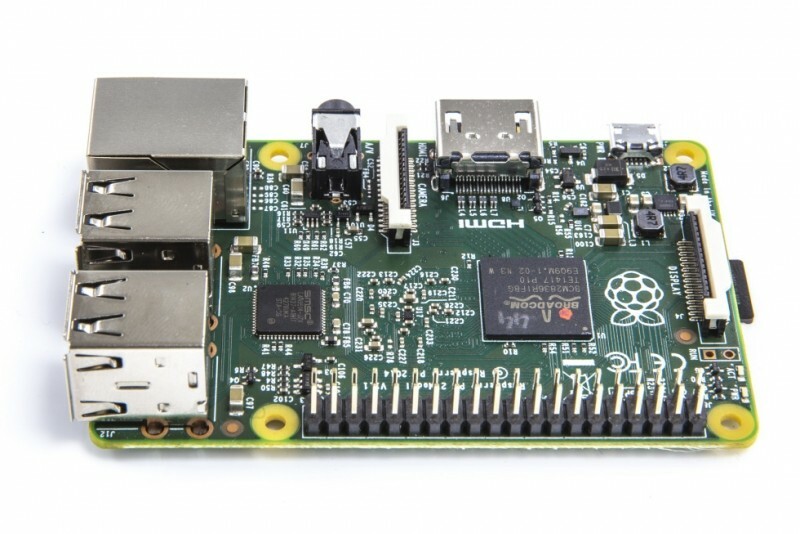 The Raspberry Pi 2 also includes more RAM than the previous-gen Model B+, rising to 1 GB. Other hardware, including the 250 MHz Broadcom VideoCore IV GPU, remains the same. As for I/O ports you'll still be getting four USB ports, an Ethernet 10/100 Mbps port, HDMI, 3.5mm audio/composite video, a microSD card slot, and 40 GPIO pins. The form factor is identical to the Model B+ from July 2014. While the Debian-based Raspbian operating system will be updated to support the Raspberry Pi 2, the real star of the show is Windows 10, which will be supported on this model of the Raspberry Pi for the first time. Microsoft will be making the IoT version of Windows 10 free for Raspberry Pi 2 owners through the Windows Developer Program for IoT. Microsoft hasn't shared too many details on the IoT version of Windows 10, although it's expected that it will be a stripped down version of the standard OS designed to run on weaker, IoT-class hardware. When Microsoft shares more details in the coming months, hopefully universal app support is part of the package.